This is Buster, currently at our Newington Pet Wellness and Adoption Center. Buster is 11 years old, and he is calm but have he does have his moments of energy and needs to get some exercise every day. Buster can live in any size home, including apartments. He needs to live with dog savvy adults, and Buster loves attention, so he absolutely wants to be the only pet in the family. Buster is a great dog with lots of potential. 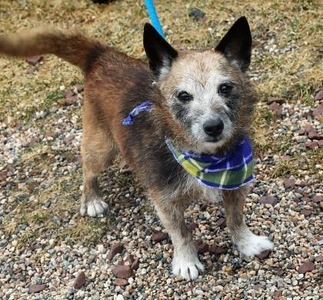 He needs a family that has owned small dogs with big personalities! Behavior Consult Mandatory. Posted in Newington Town Crier, Newington News on Thursday, 11 April 2019 08:34. Updated: Thursday, 11 April 2019 08:36.